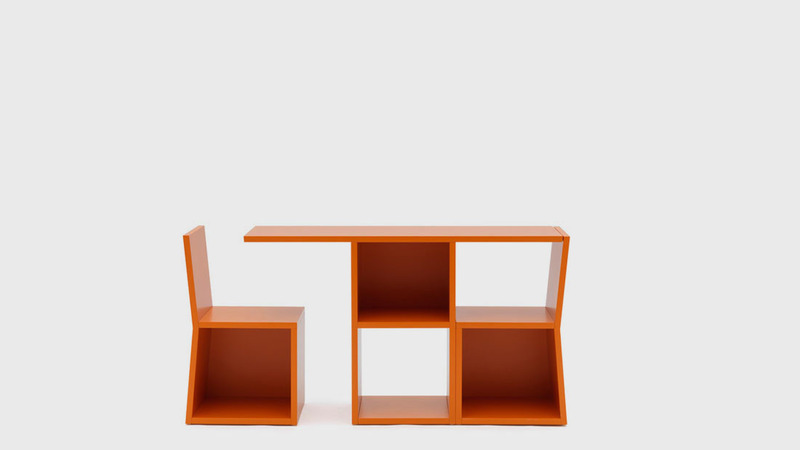 “Trick” is a bookcase which transforms into a console table with two chairs. 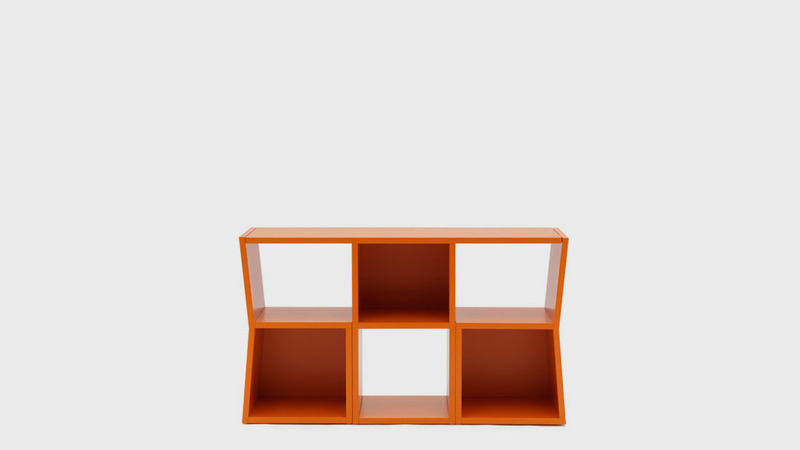 When both sides of the bookcase are moved from the original positions, they function as chairs. What remains in the centre works as a table. The console can be used for dining as well as for writing, reading and working on your computer. 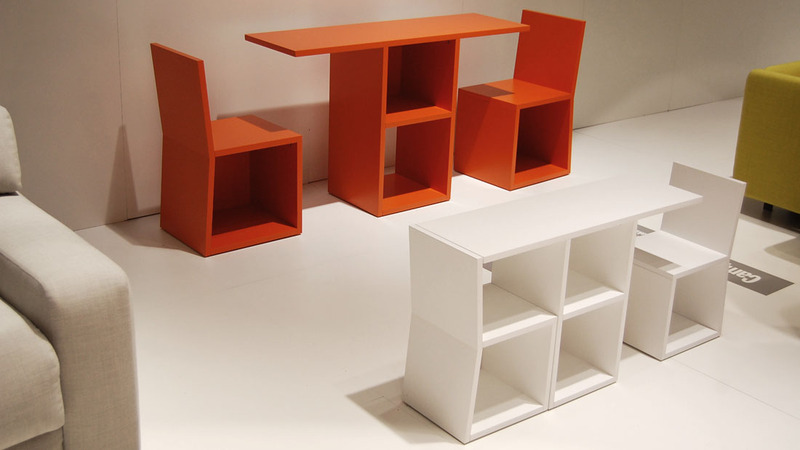 It is multi-purpose furniture which offers a space saving solution and fulfills your everyday activities in small environment.